CAROLINELEAVITTVILLE: Nichole Bernier talks about The Unfinished Work of Elizabeth D., writing, and so much more! 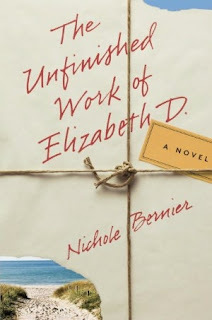 Nichole Bernier talks about The Unfinished Work of Elizabeth D., writing, and so much more! 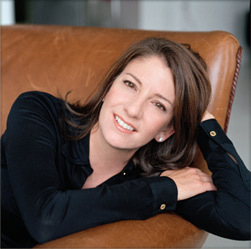 Nichole Bernier is the extraordinary founder of the literary blog, Beyond the Margins, and she's also written a knockout debut that's already racking up the raves, The Unfinished Work of Elizabeth D Set after 9/11, the book explores just how well two women friends know one another. I'm thrilled to have her here on my blog. Thank you so, so much, Nichole! So I have to ask, where did this idea come from? Do you yourself keep journals? I’ve kept a journal on and off since I was a teenager, and I’ve always been fascinated with why, exactly, people do this crazy thing, putting private thoughts to paper. What happens if you’re hit by a truck tomorrow? Were you really writing for your own reflection and catharsis, or were you writing for others to see it someday, your chance to have your final say?The what-ifs that generated the novel spooled out from there. What if you inherited the journals of a friend without clear direction what to do with them, and learned you didn’t know your friend nearly as well as you thought, including where she was really going when she died? What might the dynamic be with the widower who resents not being given his wife’s journals? How might you feel about why your friend didn’t confide in you — and how might that make you realize ways you weren’t candid with loved ones, yourself? It was tremendously satisfying to explore that juxtaposition of the faces we show the world and those we hold close, our private ambitions and fears, and what it costs us in the end. Do you think we ever really know the ones we think we know? That’s the million-dollar question, isn’t it? We might think we do, but there are small things everyone holds close. We all die with bits of our story untold. I suppose the extent of not-knowing comes down to whether those bits are small or not so small. One of my favorite sayings is “You never know,” because there’s no knowing why people do the things they do, or what kind of unseen things they’re struggling with. Keeping that in mind keeps me empathetic, and humble. I loved the title. Do you think we are all unfinished in one way or another? Thanks! The unfinished refers both to journal keeper’s artistic aspirations and the person she was struggling to be become. But it could also be taken more literally as a reference to her missing journals. I think we’re all works in progress. I know I am. Tell us about the writing of this novel. Were there any surprises as you were writing it? In a way the entire process was a surprise to me, since I’d only ever written nonfiction. I had only a general sense of where I was going with the plot, so the story’s unfolding was a novelty. The process of discovering the characters’ lives was something I learned as I went along, and a few months into writing, I decided I needed to write the two women’s stories one at a time, at least initially. I wrote the entire life of Elizabeth through her journals first to really know her, then I threw away half, and wove the best parts into her friend’s summer vacation of reading them. I don’t know if that’s what sane writers do, but it’s how I had to do it. Do you map things out or do you simply write to see what will be revealed to you? And what's your daily writing life like? This novel I figured out as I went; the next one I’ll be more meticulous. Or at least I think I will. It could very well be just as circuitous a learning process. On a daily basis? I have five children and the youngest two aren’t in school yet, so I rely on babysitting hours and late nights. I don’t obsess about daily productivity because everything can be derailed by an ear infection or a class presentation on bugs. 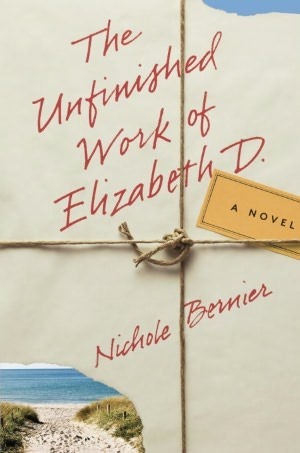 To write THE UNFINISHED WORK OF ELIZABETH D., I gave myself a 2,000-word-a-week goal, and that felt about right. It also kept me from beating myself up on a daily basis if I didn’t get a certain amount done. What's obsessing you now and why? There are two things I’m obsessed with these days. One is a disturbing premise set in the former Soviet Union. The other takes place on an eerie forbidden island I visited with the Park Service a few months ago, a real-life fascinating and creepy place that spans three distinct phases of history. Once my book tour quiets down I’ll be going to town on one of these stories, whichever one is keeping me up at night the most. What question didn't I ask that I should have? Well, I suppose we could talk about why I set my novel in the year following September 11th terrorist attacks, since so many agents and editors told me that was verboten.That year was such a fascinating and horrible time. It was both terrifying and numbing to watch CNN in 2002 because you never knew what you might hear. It felt as if anything could happen —anthrax and Ebola unleashed, reservoirs poisoned, Mad Cow disease waiting in every hamburger. I think many people, myself included, felt for a while that anything was not only possible, but likely. Most of us moved on from that paralyzing fear, but it was fascinating to me to create a character who became quietly obsessed with protecting her family from so many unknowns, and could not move on.